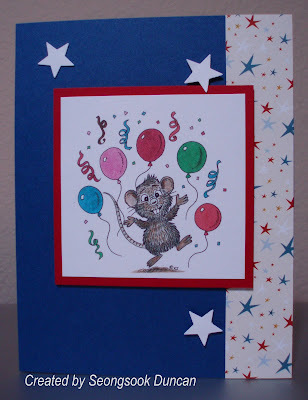 This is adorable.... love your stars and the little mouse is just the cutest! Wow, great job. I love your card. I'll be checking out that challenge blog. TFS. Beautiful! I love the star paper on the right, it's a fabulous card.